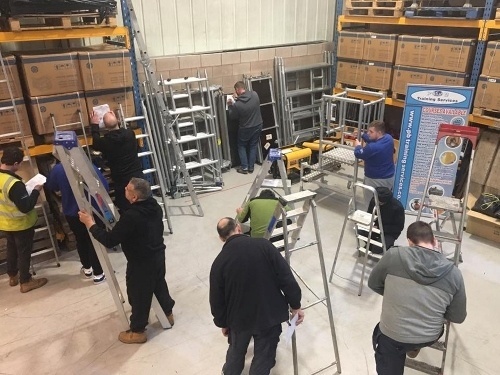 This Working at Height Training Course is for managers and employees, and gives candidates a good overall knowledge of the Working at Heights Regulations, 2005. The course will enable candidates to organise and plan working at height, avoid risks and select appropriate work equipment for a particular task. Course led by industry experienced instructors and is both interactive and engaging. Certification is issued to successful candidates on completion of the course. Working at Height Training is for anyone who works above or below ground where there is a risk of personal injury either by falling or by risk of falling objects. Anybody working at height must ensure they comply with the Working at Height Regulations 2005. The Working at Height Regulations stipulate that you should always avoid working at height where possible. It is the responsibility of employers to do all that is reasonably practicable to prevent anyone falling. On completing of the Working at Heights Training Course the candidates will be given a certificate of completion. How long does the Working at Height Course last?